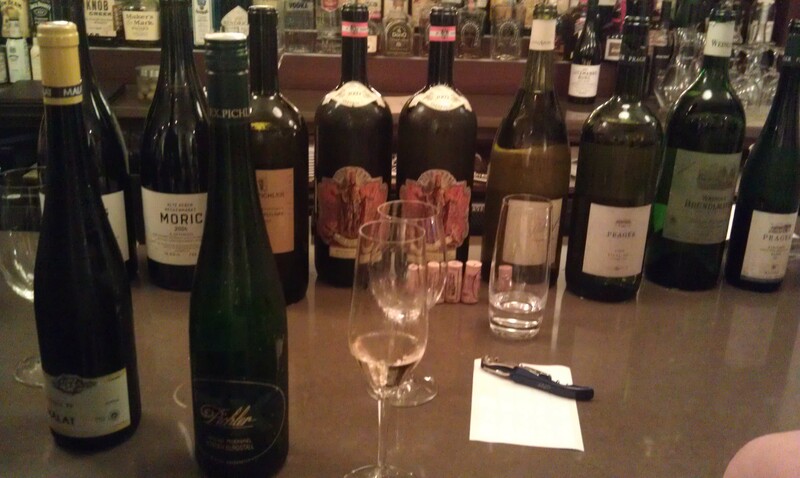 Wednesday, May 16th, marked a momentous occasion for Austrian wine lovers in New York City. Crush Wine & Spirit’s Stephen Bitterolf, in conjunction with Wolfgang Ban and Seasonal Restaurant, invited dinner patrons to the restaurant for a four-course- Austrian wine extravaganza. Unlike traditional wine dinners where the food and wine pairings are set ahead of time this was an open-reign affair offering patrons the chance to experience Austrian wine in a way they haven’t before through wines provided by the growers, Crush, and/or wines attendees brought from their own cellars. Dining guests brought wines from many regions in Austria and from many years! 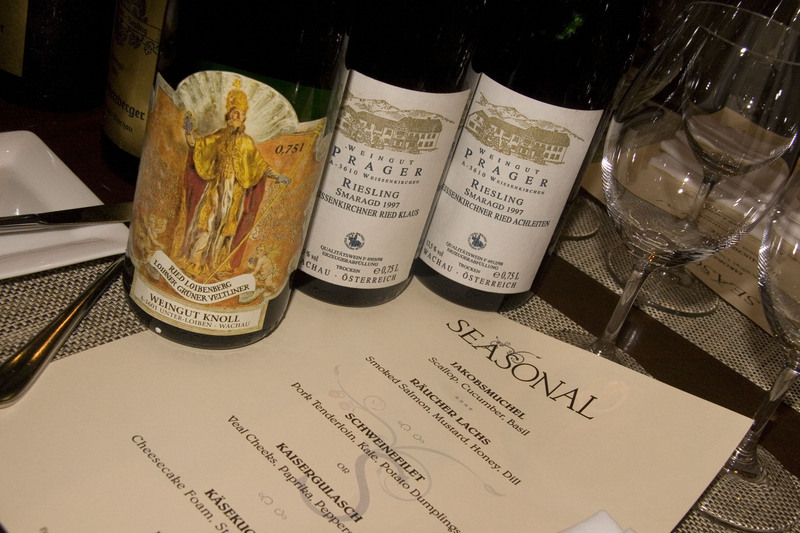 The oldest wine: a 1969 Weissburgunder by Brundlmayer – full of prune, but still lively! Second oldest: Kirchmayer Neuburger Podersdorf 1971 …. and that’s the current vintage! So PROST! to all that attended and special thanks to Seasonal Restaurant and Crush Wine & Spirits for their continued support- it was truly an experience! Check out their website for additional photos and for the Crush Wine Press – a quarterly publication created by Crush Wine & Spirits and this time it’s all about Austria!